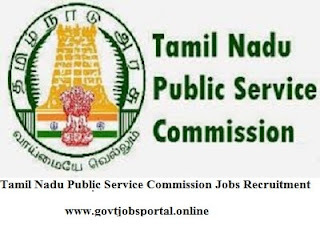 Tamil Nadu Public Service Commission - TNPSC has advertised Employment News for the recruitment of Mass Interviewer posts, Before applying for this job all Candidates are requested to read necessary information for this employment and apply only after that. No of posts: 03 Posts. Candidates must have B.A. / B.Sc. (Anthropology / Sociology / Economics / Home Science / Social Work) + Tamil language knowledge is required to apply for this job. Candidates age should be between 21-30 years. Selection will be done on the basis of written test / Oral test Performance. Application fees will be 150 (For Unreserved Category) / free (SC/SCA/ST/DAP-PwD/Destitute Widow of All Communities), Please read published notification for fee relaxation in other catse. Note: For more information related to Tamil Nadu Public Service Commission Job Recruitment, you can see the published notice here and visit daily for updates of Indian government employment news.